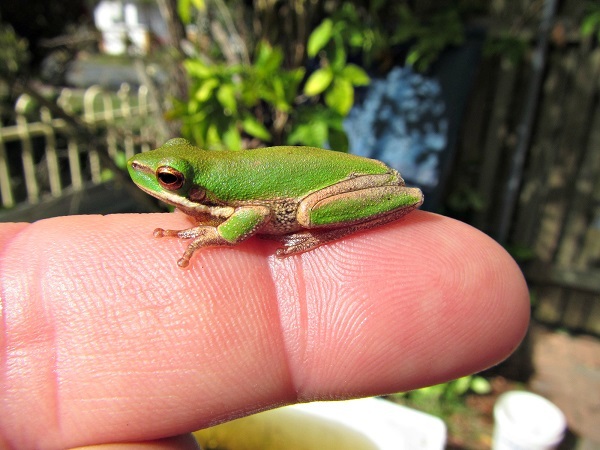 Under current QLD threatened species legislation it is illegal to collect Honey Blue Eyes from the wild. 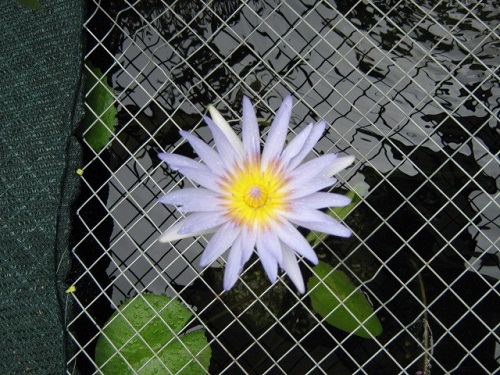 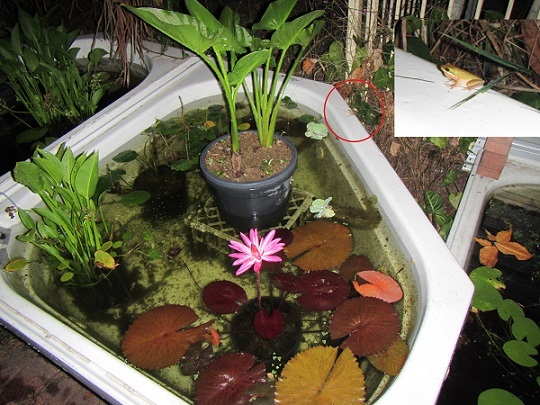 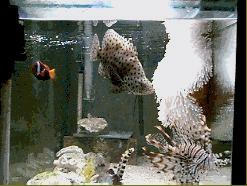 It is also illegal to buy or sell a threatened or endangered species in Queensland. 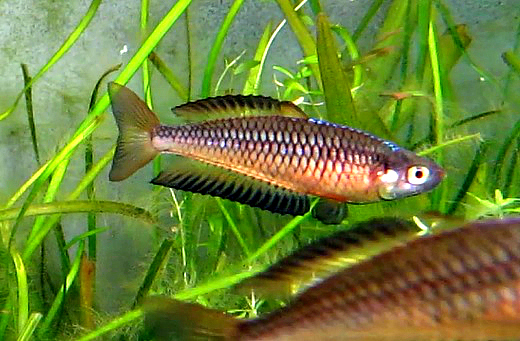 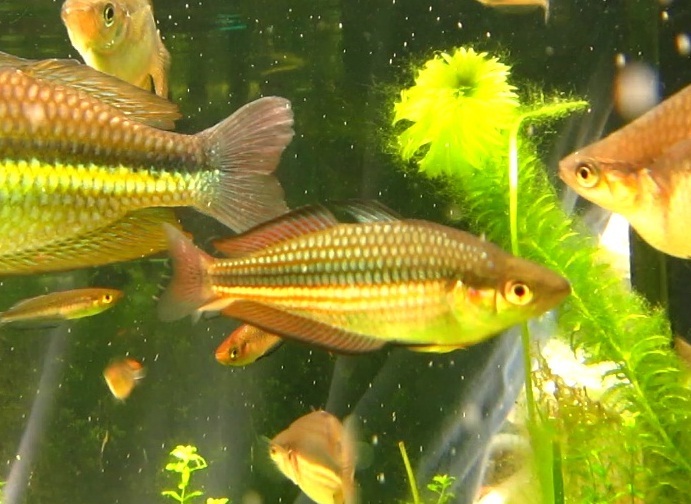 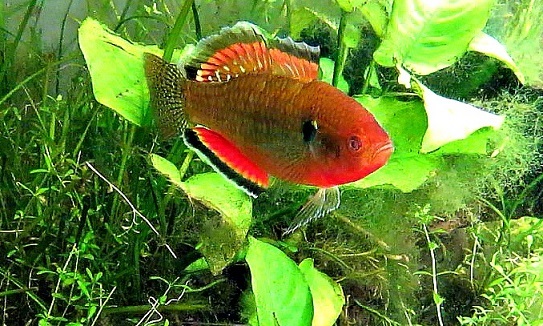 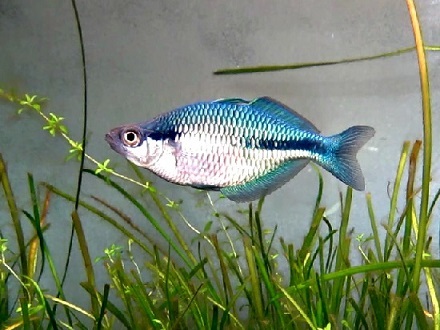 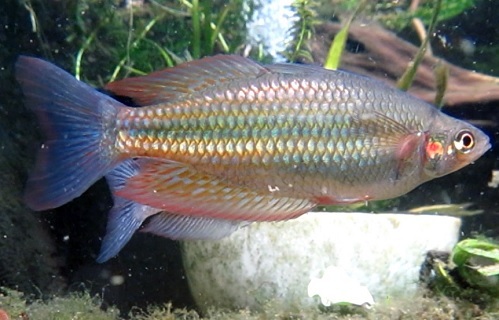 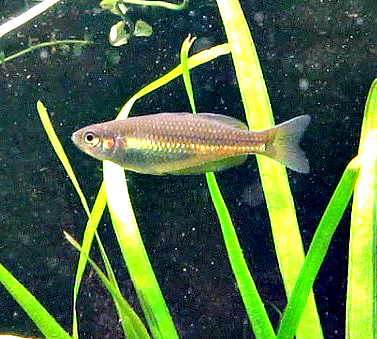 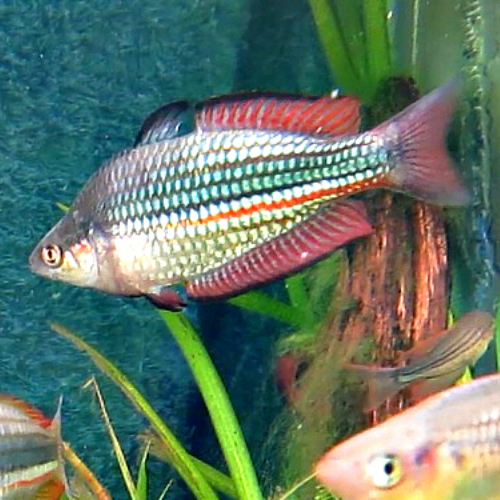 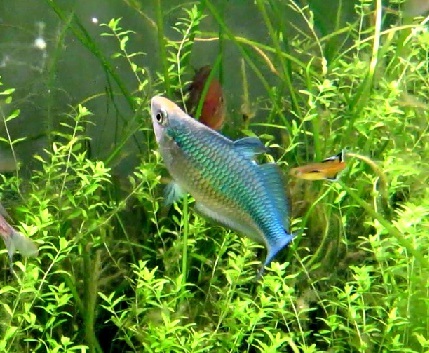 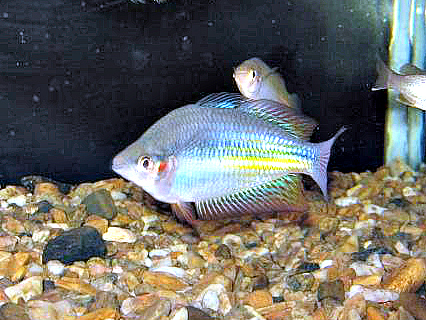 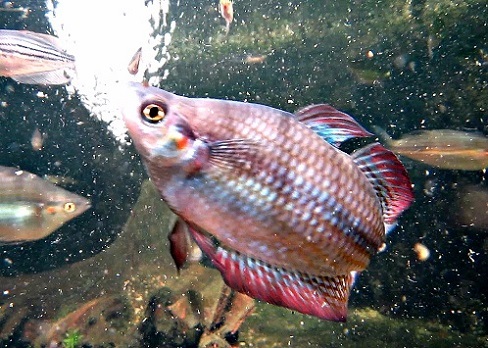 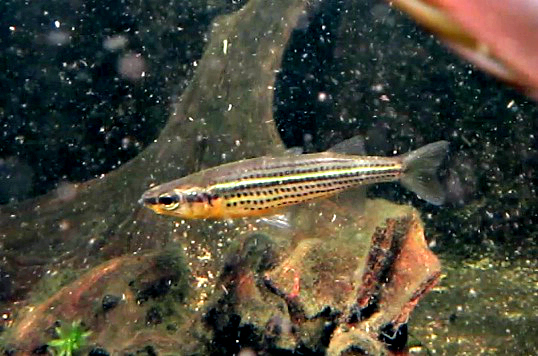 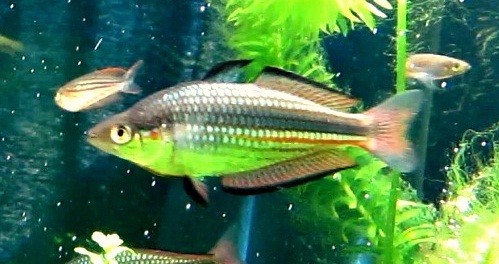 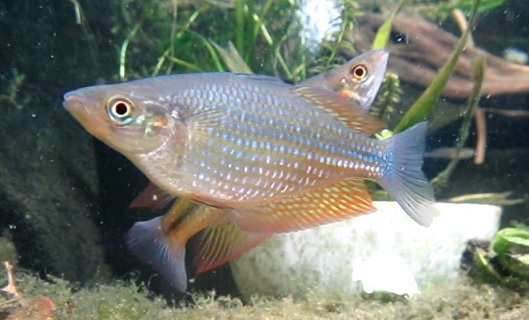 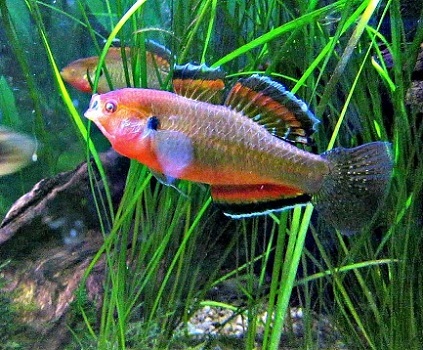 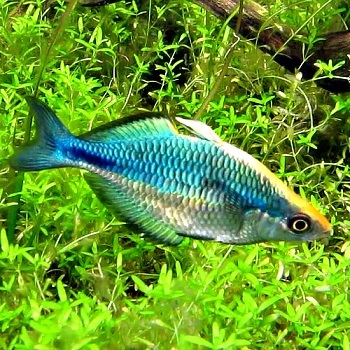 Our native fish always look much better in a planted tank and take a little while to settle in and show their "true colours"
The variations in colour and pattern are incredible, in a planted tank or pond they really show why they are called "Rainbowfish"
Water lillies are the most useful plant in ponds, plenty of shade and cover for fish and frogs and quite beautiful too. 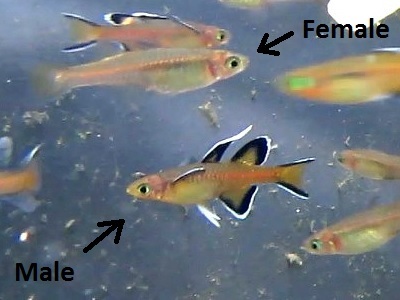 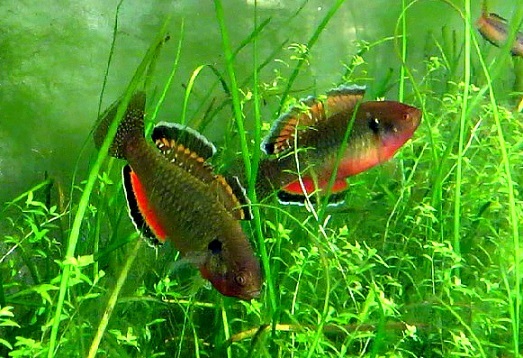 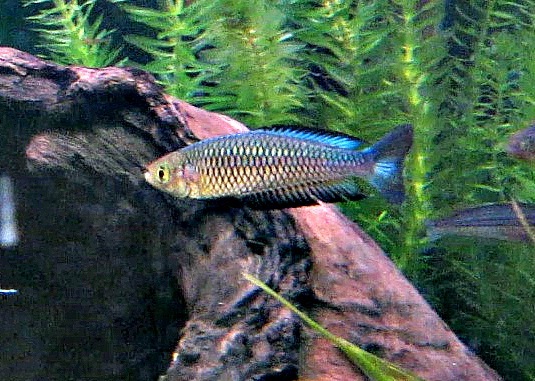 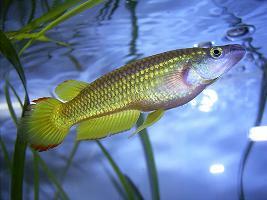 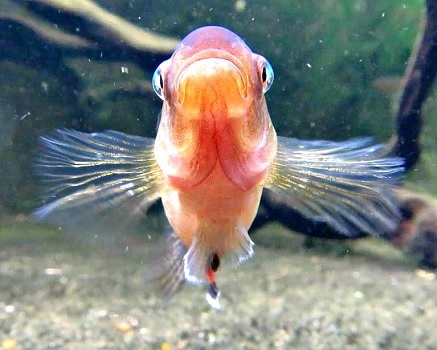 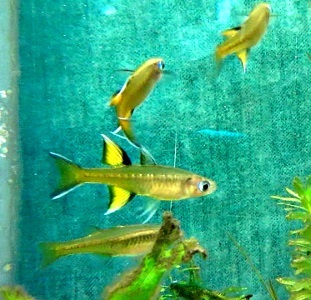 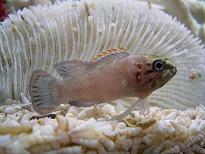 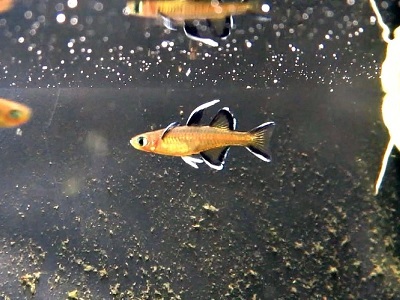 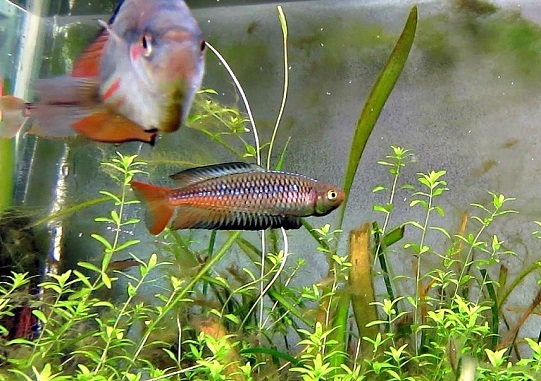 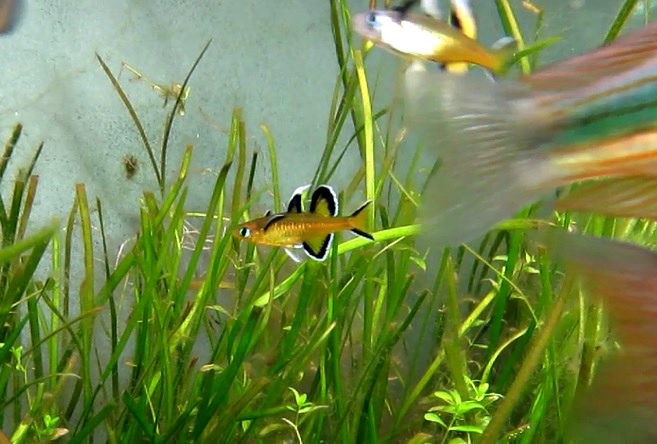 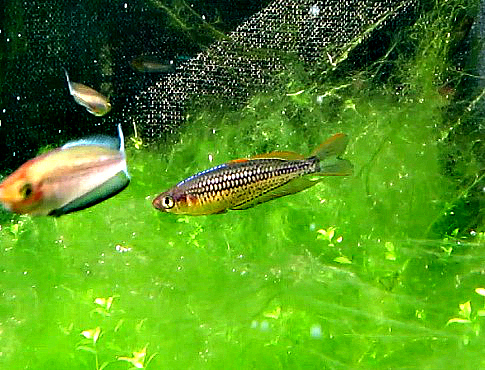 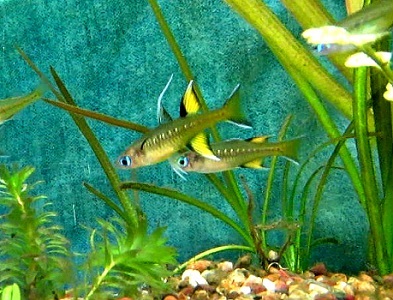 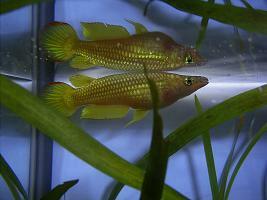 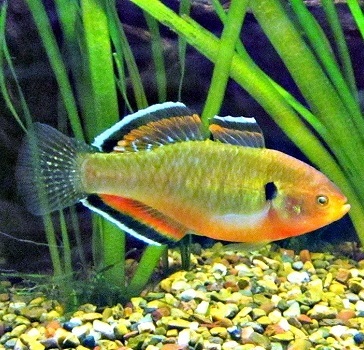 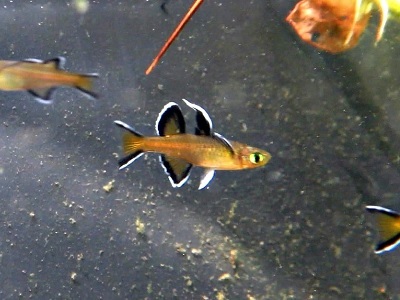 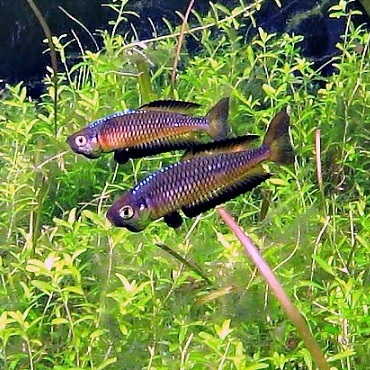 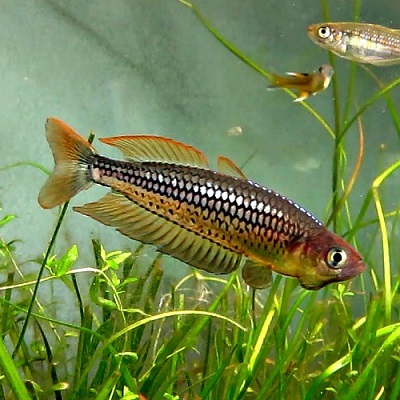 Golden Killifish very easy to breed too. 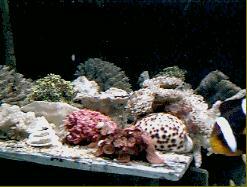 A 2ft6 marine/saltwater tank with Blennies, a Yellow Damsel, a Humbug, a Pistol Shrimp, Coral goby, Hermit Crabs and Shrimp. 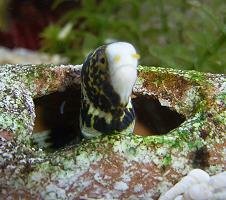 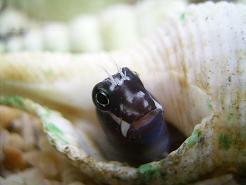 Funny how the little Blennies always get the most attention from people no matter what other things Ive had in the tanks. 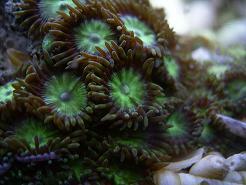 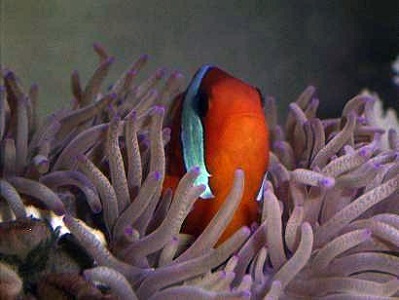 A coral beauty. 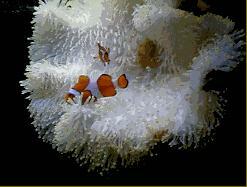 Two Percula Clowns. 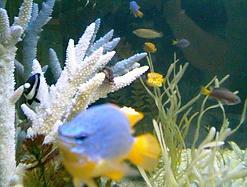 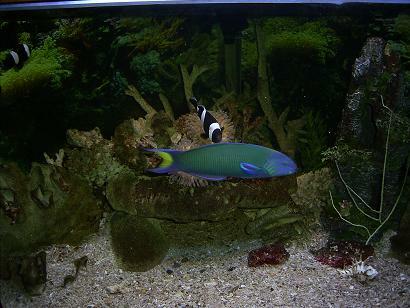 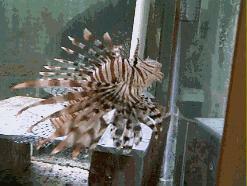 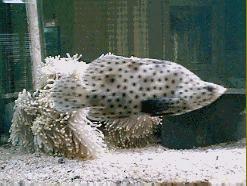 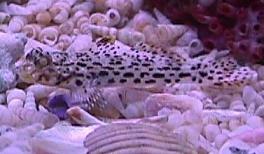 Mixed Reef fish in 6ft tanks. 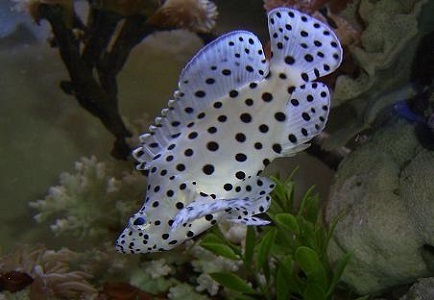 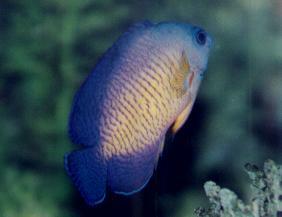 Fijian damsel, Boxfish, Humbug. 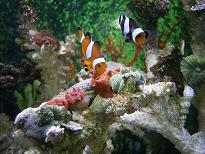 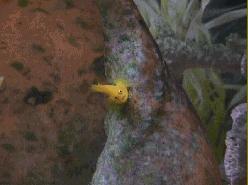 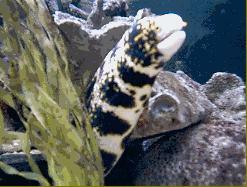 Clownfish, Barracod, Snowflake eel, Lionfish. 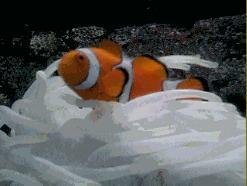 Barracod on the move, Percula Clownfish. 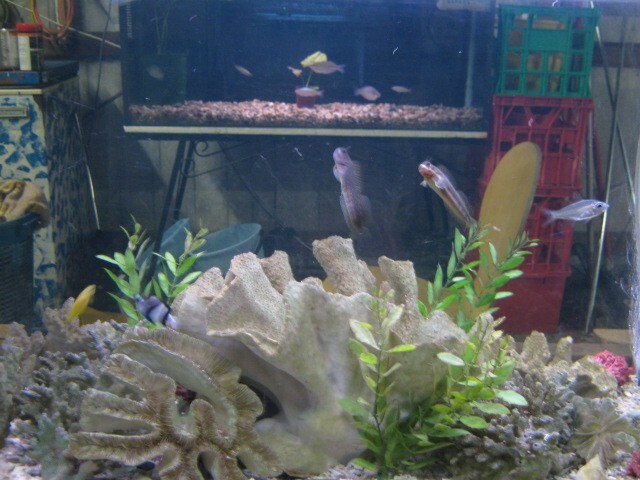 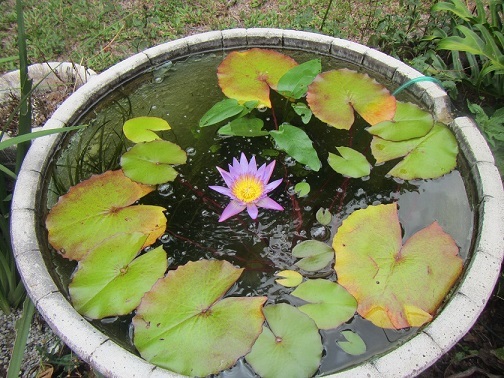 and about to be cleaned by the shrimp. 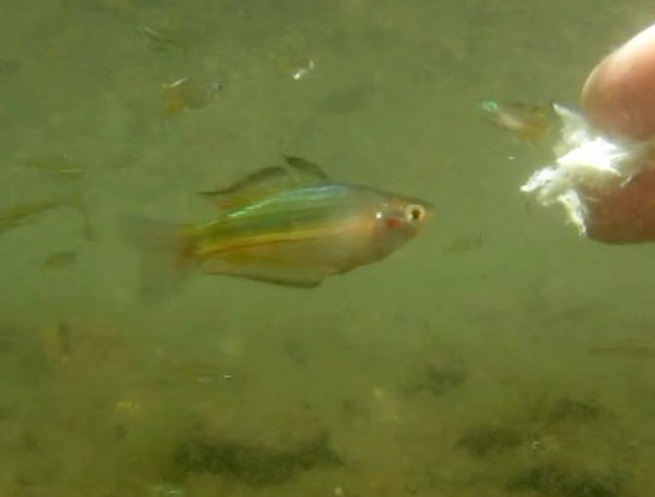 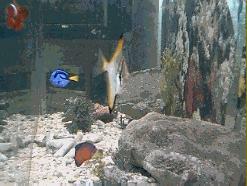 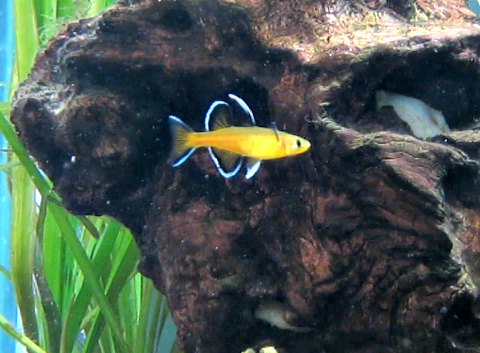 Harlequin Tuskfish and a Yellow Goby. 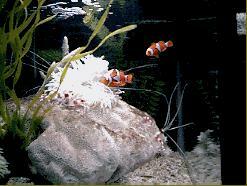 Clownfish anemone and shrimp in the small tank, and a salt n pepper goby. 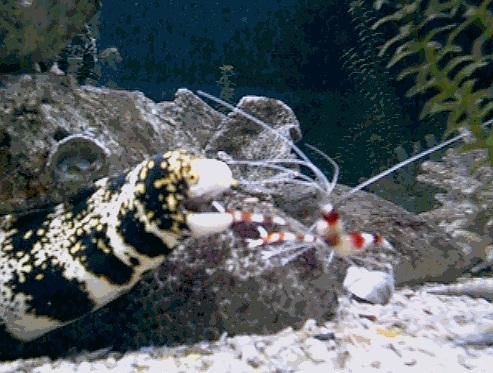 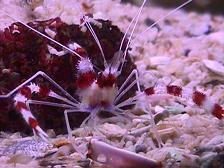 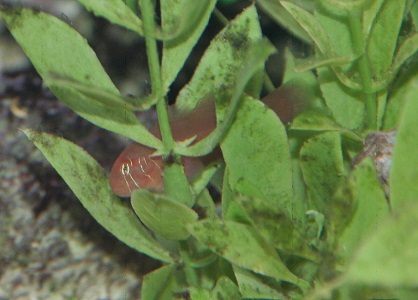 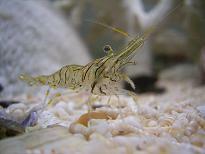 Red banded cleaner shrimp. 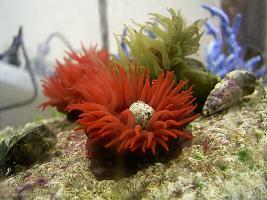 Little rock pool anemones, and a rock pool shrimp. 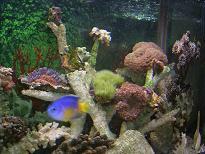 Devilfish, live coral and a damsel in a 2ft tank, two clownfish and some corallimorphs..
A Blenny, Snowflake Eel, and live coral close-up.